Donde la Cuca is famous for its grilled meats or Parrillada. 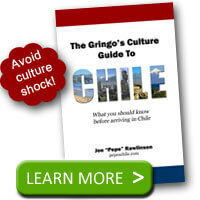 Chileans love a good barbecue or asado and this restaurant helps feed that culinary urge when they are away from home. 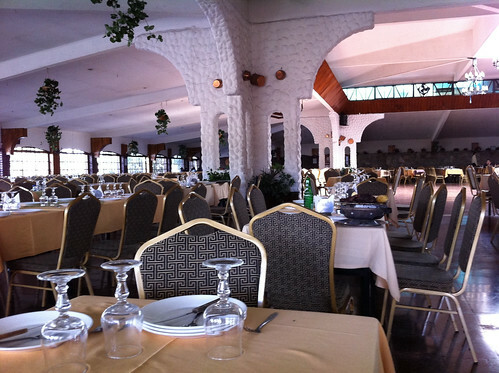 As you enter the restaurant, there is a welcoming waiting area where you can expect to wait during crowded times. The restaurant is surprisingly large inside with a massive dance floor surrounded by hundreds of tables. When escorted to your table, you’ll walk by a large dance floor where Chileans will dance late into the night to the music from a live band. If you eat at the restaurant early in the day, it will likely be vacant and without live music. The crowds show up later in the evening. 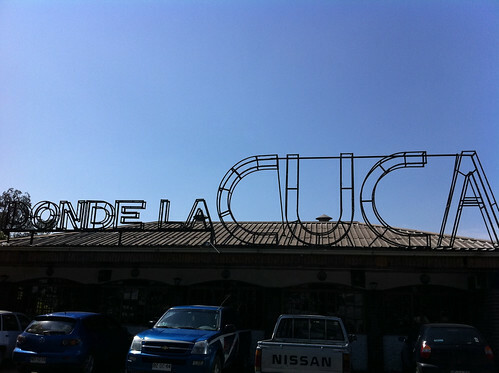 You’ll need to order some meat when you eat at Donde la Cuca, otherwise you should have chosen another restaurant. 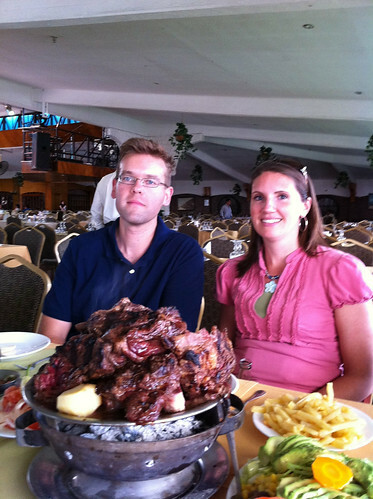 The waiter will bring out a huge mountain of meats piled high on a metal serving plate. This plate sits on top of a batch of charcoal briquettes that keeps your food warm for as long as you want to gorge yourself. Expect lots of beef, although other meats (chicken, pork, sausage, etc.) are also available. A typical side dish for your meat includes a platter with sliced avocados, shredded lettuce, tomatoes, and french fries (papas fritas). Ask for a nectar juice to help wash down your carnivore’s delight. If you can, save room for dessert as Donde la Cuca has several traditional and sweet treats including Chilean pancakes (panqueques). 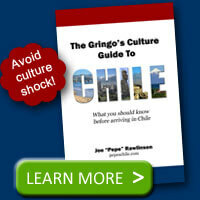 You can view the Donde la Cuca website for more details. Make sure you go hungry because you will leave stuffed. Enjoy the meat!